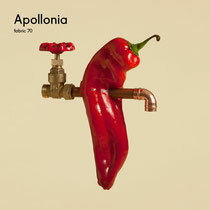 Back in February the Parisian trio, Apollonia, impressed so much with their sleek and deep fusion of house and grooves that they joined the fabric compilation series with ‘fabric 70’, which was released last month. Now they return to fabric's Room One on Saturday July 20 for an expansive back to back to back DJ set. Wagon Repair's Colin de la Plante aka The Mole, rounds off the lineup with an outing for his live show. 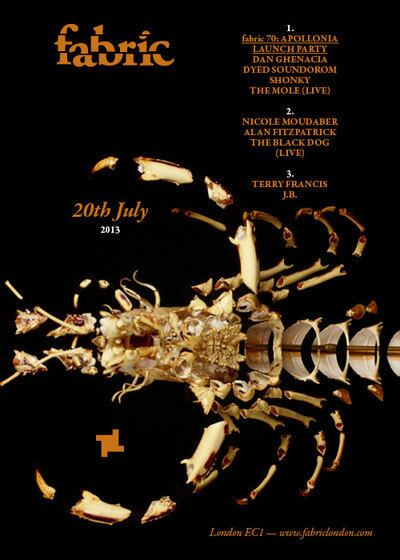 London resident, Nicole Moudaber will be doing her thing in Room Two as she spins next to Drumcode family guy and regular Farringdon staple, Alan Fitzpatrick and Yorkshire trio, The Black Dog - who recently dropped the ‘Tranklements’ LP on Dust Science Recordings. J.B. aims to teach the Room Three party makers just how to do a retrospective acid house night, inspired by his phenomenal experiences when the scene was first taking off in the late-80s. His passion for DJing has remained as strong as it was 20 years ago and Terry Francis is someone who couldn't agree more, hence why he's joining him upstairs for an old-school soiree.